When someone has a property claim, public adjusters represent the policy holder as their advocate to make sure they get what's coming to them. 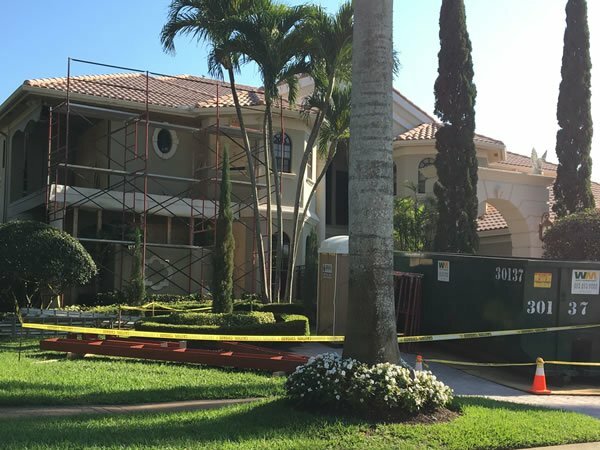 A balcony collapse on a home after storm damage is the sort of project you'd enlist the services of Phoenix Public Adjusters Group to help you with. Photo by: Phoenix Public Adjusters Group Inc.
Long Island, NY - January 21, 2019 - When you're a homeowner, you assume a great many responsibilities…and an equal number of risks. There's no telling when hardship or tragedy may strike, and when it does, you may find yourself with some serious liability in regards to the single most expensive purchase of your life if you're not adequately protected in the form of insurance. Simply having insurance alone often isn't enough, as more often than not, the insurance companies have their own interests at heart before those of their customers. So, just as anyone accused of a crime should hire a good lawyer to represent them in court, anyone with an insurance claim due to home, commercial, inland marine or personal property damage would do well to engage the services of an public adjuster to make sure they get everything that's coming to them. Jason Greenberg has been in the public adjusting field for over 20 years, and during that time he has learned the ins-and-outs of practically every aspect of the business. 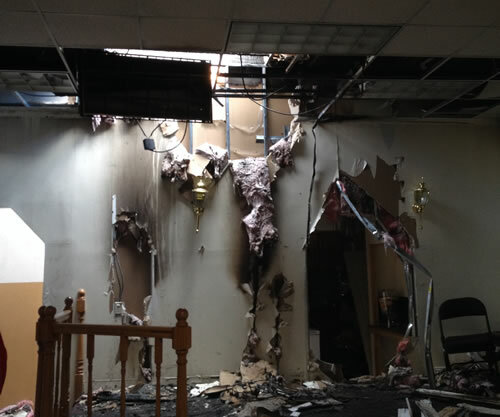 The owner of the Great Neck-based Phoenix Public Adjusters Group Inc., Greenberg noted that the services his company provides are vital to anyone dealing with insurance companies over homeowner, commercial, inland marine or property damage claims. Jason Greenberg, owner of the Great Neck-based Phoenix Public Adjusters Group Inc. Photo Credit: Phoenix Public Adjusters Group Inc.
Phoenix Public Adjusters are licensed and bonded in New York, New Jersey, Connecticut, and Florida, and their work primarily centers on damage that comes from within the house, business, or boat, Greenberg said. “We specialize in fires, pipe breaks, if a tree falls on the house, wind storm damage, raccoon claims, vandalism, business interruption claims, theft, and more,” he said. However, while Phoenix will make exceptions depending on the situation, they typically do not handle flood claims; the reason being is as that entails a completely different type of insurance and often involves reimbursement from the government as opposed to privately-held insurance companies. One issue facing many home, building, and boat owners these days is that they are typically unaware of the fact that they can have their own advocate in the event that they have to submit an insurance claim. They mistakenly believe that the insurance companies they deal with are representing them, when in reality they are representing themselves, minimizing any claim that they have to pay out on, Greenberg said. Water damage in a Brooklyn home. Photo Credit: Phoenix Public Adjusters Group Inc.
Greenberg urges anyone facing a claim with their insurance company to engage the services of an adjuster first and foremost, the reason being that any preliminary discussions between you and your insurance company could make negotiations for an adjuster that much more difficult after the fact. Public adjusters, Greenberg said, have been around since the late 1800’s; nonetheless, it is not a highly-publicized industry simply for the fact that insurance companies would rather their clients not know of their existence. After all, when a public adjuster gets involved, it's certainly stands to eat into a chunk of any insurance company's profits, and obviously they would like to avoid that situation if at all possible. In his line of work, Greenberg noted that he ends up having to do a great deal of traveling, as this is truly a face-to-face industry. Not only does an insurance adjuster need to be on-site in order to inspect the damage and provide accurate estimates, but they also act as a therapist of sorts to their client, as often they're seeing them when they've just gone through one of the most tragic events of their lives. When facing heart-breaking damage to your home or personal property, it's vital to have someone in your corner looking out for your best interests...thats where the services of a public adjuster come in. 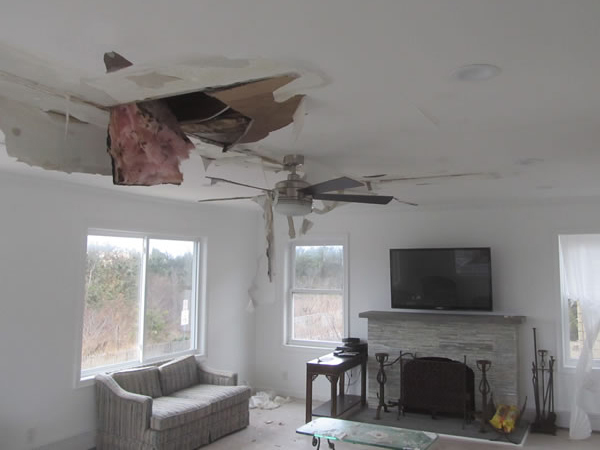 Photo Credit: Phoenix Public Adjusters Group Inc.
Of course, having insurance alone isn't enough, Greenberg said; one of the biggest mistakes he sees people making is that either they have the wrong type of coverage, or they simply just don't have enough of it. Reviewing your policy and making sure that you have adequate coverage for your structure and personal property is key, he noted. 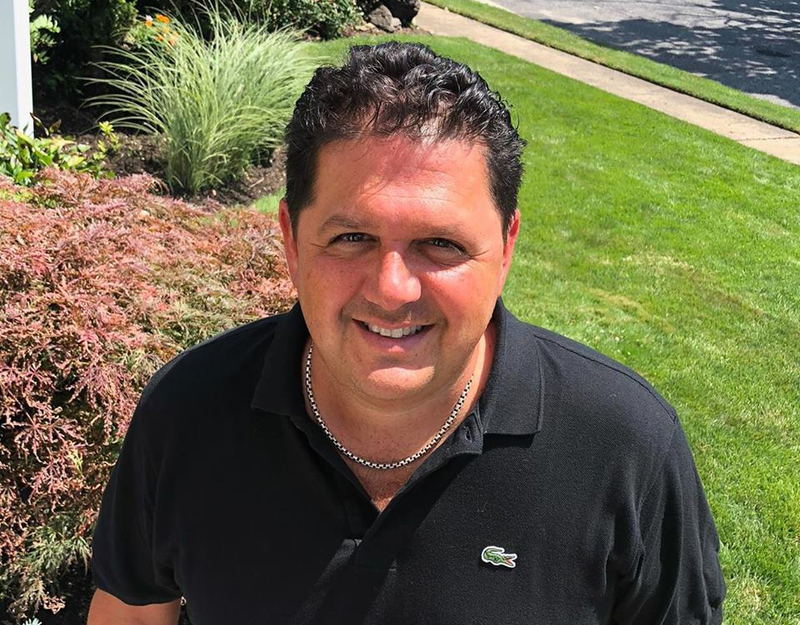 Helping his clients through a terrible event and eventually putting them on the road to financial – and hopefully, emotional – recovery is an amazing feeling that Greenberg noted makes all of the hard work that goes into his job worth it in the end. For more information, please visit www.phoenixadjusters.com or visit them on Facebook.